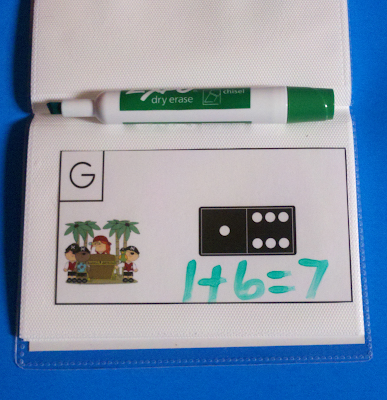 Put Pirates and Parrots Domino Add the Room cards in a dollar store photo album to make dry-erase activities for early finishers. Pirates and Parrots Domino Add the Room provides fun and exciting math centers for learners to practice addition facts. This resource takes the popular Add the Room activity to another level. Students use a domino graphic to determine the addition equation represented by the number of dots on the domino.